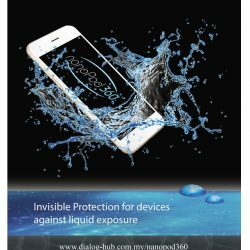 nanoPlus™ is an easy to apply liquid coating solution for protecting electronic devices from liquid damage and corrosions. The solution is ideal for use on circuit boards and vital components of electronic devices. 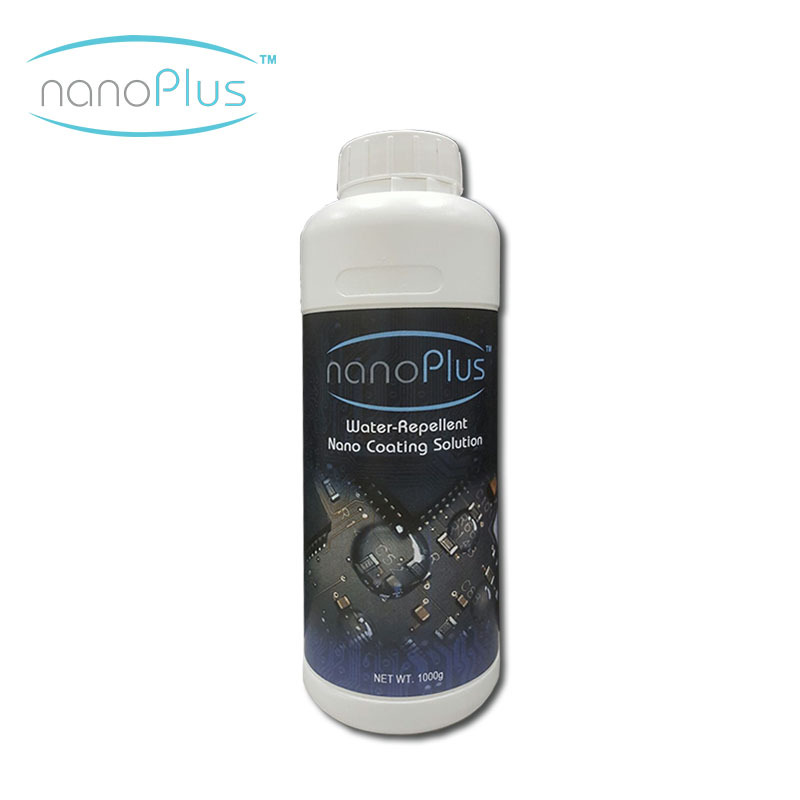 nanoPlus™ is an excellent product for repair centers, electronic manufacturers and assembler. It can be easily applied by using direct dipping method. Total treatment time is only 10 minutes. It is non-toxic, non-flammable, ROHS and REACH compliant. 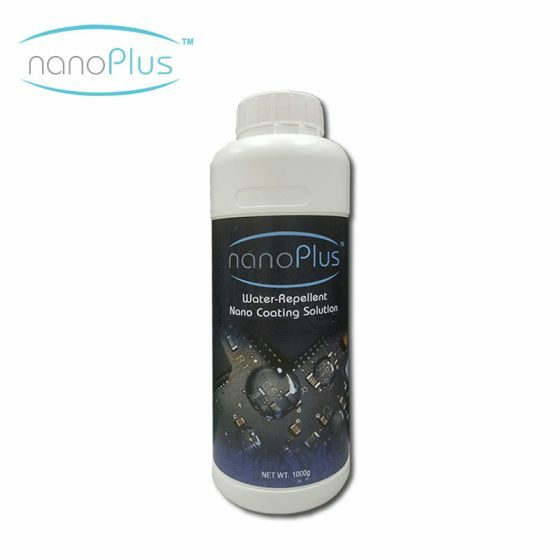 Place the phone assembly/ component to be coated on a glass or stainless steel made container and pour the NanoPlus™ Nano Coating liquid formulation into the container. 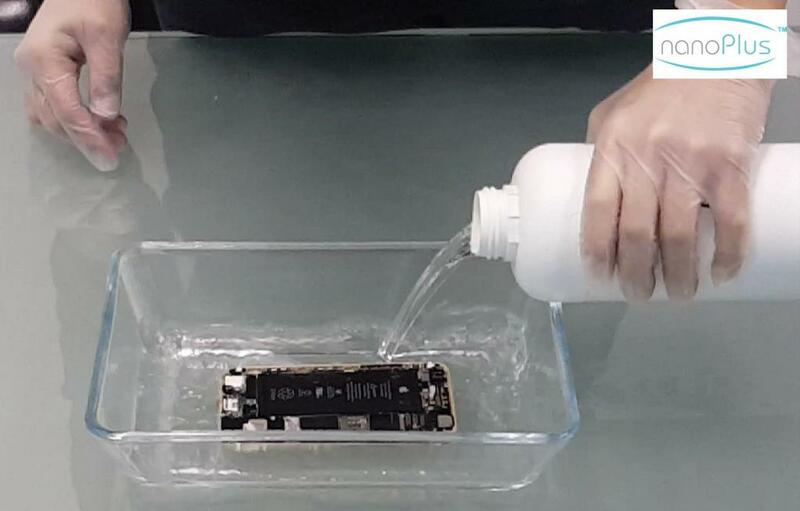 Make sure that the phone assembly is fully submerged in the Nano coating liquid for 10 seconds while slightly sway it around the container to make sure that the coating solution can permeate the entire surface and parts of the phone assembly. Take the phone assembly out from the container (shake off any excess coating liquid). Then, blow dry the phone assembly evenly at around 80C for 5-10 minutes to finish the coating treatment. "Two is always better than one"
nanoPlus™ is a super-hydrophobic & liquid repellent Nano coating applied on the vital components & parts of electronic devices. 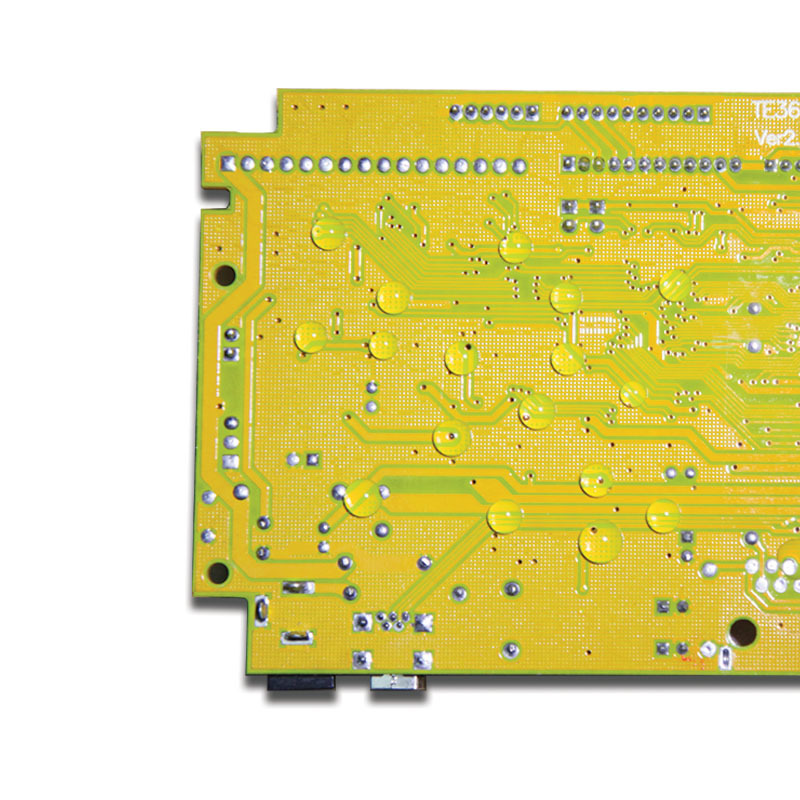 The Nano coating creates a barrier to protect the vital electronic components from direct liquid exposure. Prevents liquid damage from rain, accidental spills. Safeguard your mobile data.